Along with supplying policymakers with decision-support tools, IIASA provides important services to the research community by hosting key databases on issues like climate and population. In 2016, the successful online science tools and resources that are developed jointly by the IIASA Transitions to New Technologies (TNT) and Energy (ENE) programs were expanded and received record number of data requests and downloads. The TNT-ENE community-service database tools have become a hallmark of the IIASA mission of supporting scientific research, documentation, and dissemination. Their reach has grown exceptionally, with page visits and downloads ranging from 10,000 to well over 3 million per year. TNT and ENE scientists have developed a number of web-based solutions for model and scenario inter-comparison projects, including several for the Intergovernmental Panel on Climate Change. Access statistics in 2016 to TNT’s web-based databases, models, and educational resources. Online tool software and data protocols are being jointly developed with ENE. In total, 24 scenario databases are currently hosted by IIASA and their usage has grown substantially over the years, reaching a new record in 2016. In order to maintain existing databases and to expand these vital community services, TNT recruited additional staff. 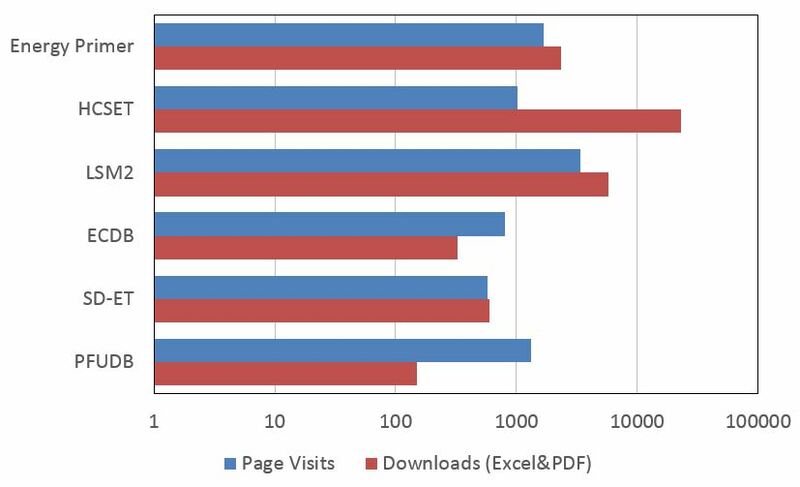 2016 monthly access statistics to web-based databases and other science community-services and tools developed by ENE with contributions by TNT. Altogether some 30 online research tools and databases are offered. 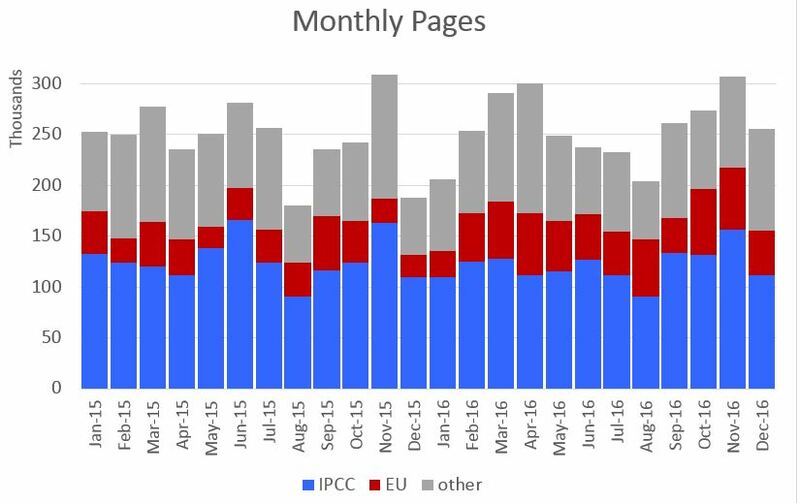 The access statistics aggregate them by major scientific constituency and user groups: the Intergovernmental Panel on Climate Change, EU-funded projects, and other databases (including documentation of IIASA in-house research).